Established for 20 years, Best Parties Ever operates nation wide providing mixed group parties for 8 or more and exclusive hire options for larger corporate events. 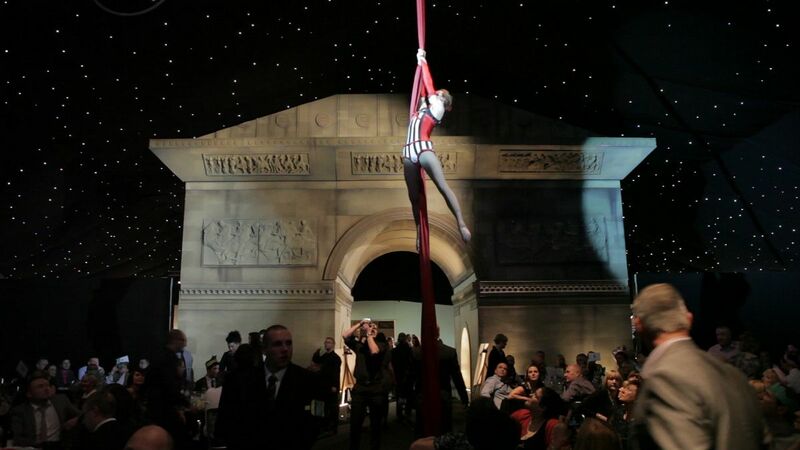 Entertaining over 200,000 guests annually, we’re renowned for offering great value for money for an exceptional evening of food, entertainment and fun. Offering an extensive range of options throughout the evening, we ensure you have the perfect Christmas party. 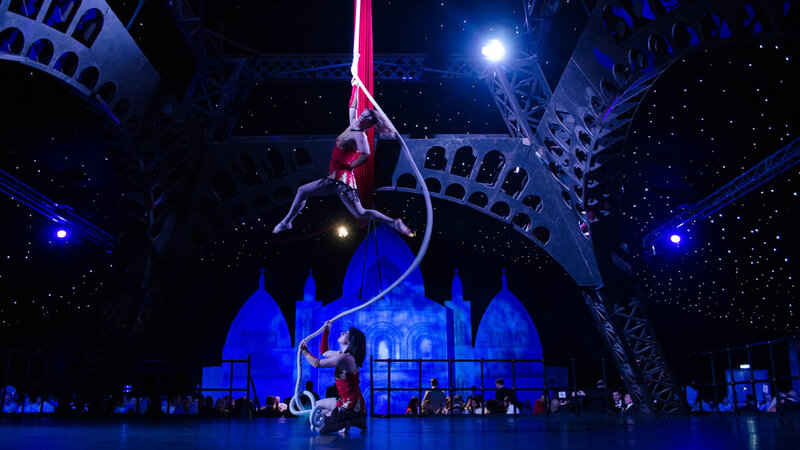 As you enjoy a fabulous three course dinner, admire the provocative and enchanting entertainment on our stunning central performance stage uniquely set at the foot of the Eiffel Tower. Be mesmerised by aerial hoop acts, extravagant costumes, stunning acrobat performances, the famous cancan and the very best of burlesque. Later, enjoy the glamorous casino, jump on our famous dodgems, or simply dance the night away! So, join us this year for an unforgettable night - Christmas Parties in Reading don't get better than Best Parties Ever! Our exclusive use parties include a range of exciting and great value upgrade packages for the ultimate in bespoke party experience. All our exclusive use clients have a dedicated account manager to work with them to meet specific individual requirements. In addition we will be happy to accommodate specific requests such as speeches, awards or combined conference and evening gala events. 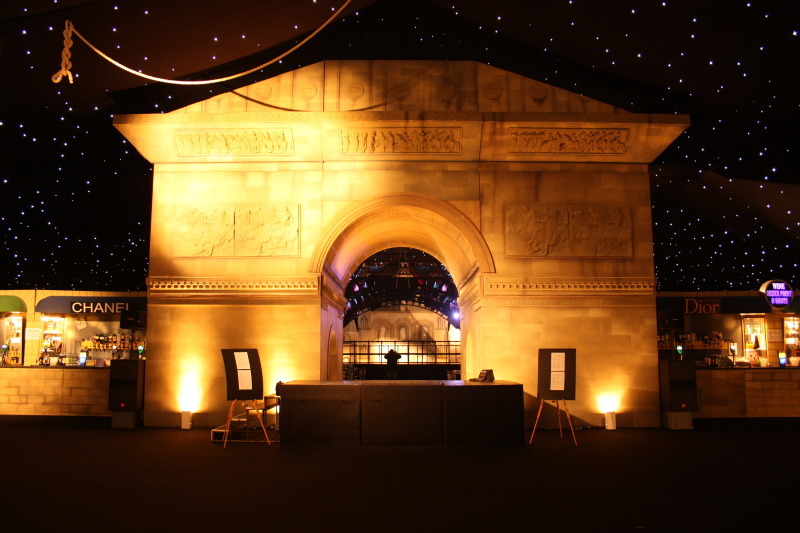 Offering adaptable venue spaces and a full event management team your Christmas party can transform into business and corporate events too, saving time, money and set up costs. Just talk to your account manager to tailor your evening and entertainment around your ideal itinerary. And the fun doesn’t stop there, we can discuss additional upgrades including a professional photo experience, bespoke entertainment, cocktail bars, late night snacks and much more! Offering multiple options for tailor-made parties. With our production and AV upgrades, the sky's the limit. Smart Dress - No Jeans or Trainers. Best Parties Ever hosts a selection of Shared Parties in 21 locations across the country, for groups of 8 to 300. To find out more about our themes and locations please click below. For groups from 300 – 2000, we offer a bespoke Christmas Party Planning Service, tailored to your specific needs within one of our magnificent venues. We are on hand to make your Christmas party truly memorable. 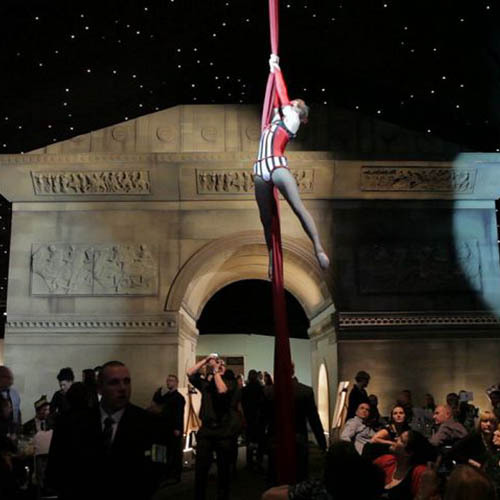 Each venue hosts a selection of these uniquely atmospheric joiner parties at which any party as little as 8 or as many as 300 guests will get together for a guaranteed larger than life, fun filled extravaganza. - Amazing venues. 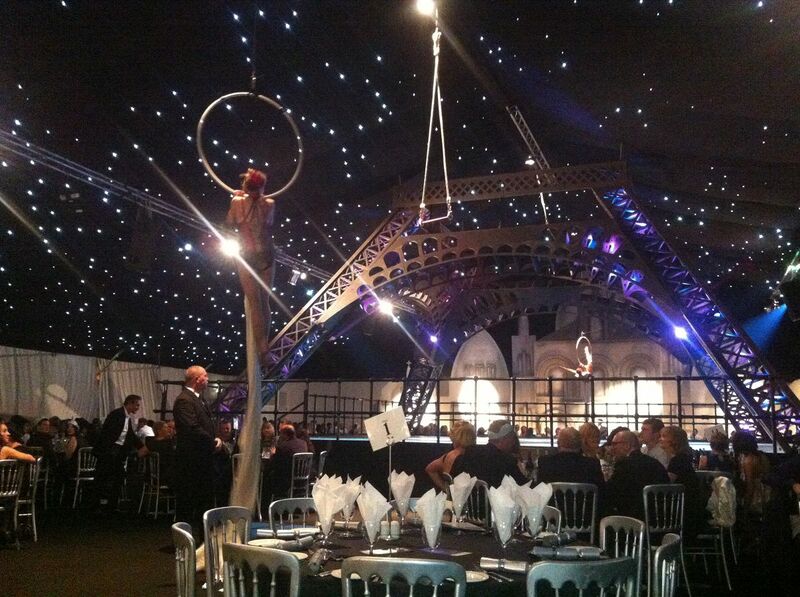 Forget the back room of the local hotel, our spectacularly themed venues are a sight to behold! - Better value. Our shared Christmas parties have world-class entertainment, a fabulous 4 course meal, disco, casino, photobooths and so much more! - Quality and reliability. Best Parties Ever are the UK's largest Christmas party provider and offer quality and service second to none across all our venues. - Stress-free, easy booking. Our online booking system allows you to manage your guests and all their requirements. Exclusively yours: Take any of our venues for your private night of indulgence if you have between 300 and 2000 party guests. We can tailor an individual package and party to your specific and individual requirements to ensure this year’s party is the best ever. Get in touch to meet your personal sole use / exclusive account manager who can work on a bespoke proposal, perfectly created for you. Every step of the way our dedicated team is always on hand to offer you personalised options and our "manage my booking" section will make your whole party experience easy, seamless and the simplest ever. Our chefs are exploring our Christmas menus and we will be revealing delicious options very soon including vegetarian and vegan menus. Delicious menus are supplied by our sister company Tapenade, who is an exclusive, high profile award winning caterer. All of Tapenade's menus focus on locally sourced, seasonal and fairtrade produce. All our dishes are prepared freshly on site. The Eventist Group is a proud winner of multiple catering awards including the following. Which price do I pay? *If you are a business (VAT registered), you will initially pay the consumer (higher) price but will then re-claim the VAT, therefore it is the price listed under the "Business Price" (excluding VAT) column that your company will end up having paid. Dates available throughout November and December. Prices available upon request. Please complete the form below to make an initial enquiry. Does the venue have disabled access? All of our venues are accessible to wheelchair users and those with limited mobility. Should any of your guests have such please do call us on 0844 499 4040 or email bookings@bestpartiesever.com so we can do our best to ensure their requirements are looked after during the event. Please note that some of our venues have a raised dance floor, which are only accessible steps. How much is the deposit per person and when is it due? The deposit per person is £20. Your deposit must be paid to confirm of your party with us. Depending on the popularity of the night, our email to you will let you know how long you can hold for under no obligation, before the deposit will be be due. Can I add to my booking later? We are as flexible as possible up until 2 days before your party. Provided that we have availability you can add to your booking. Please note, availability changes constantly and tickets are on a first come, first served basis, and payment through your account or a booking amendment form and payment must be submitted in order to secure your additional tickets. You can amend your booking 24 hours a day, 7 days a week using the ‘My Account’ section of our website. If you wish to reduce the number of people in your party, any monies already paid are non-refundable and non-transferrable. WHAT IS THE MINIMUM NUMBER OF GUESTS I CAN BOOK FOR ? The minimum booking is for 8 guests. We seat each booking at their own private tables, and do not mix booking across shared tables. We only stipulate a minimum age limit for our guests, in line with our licence, our parties can only be attended by guests who are over 18 years old. If you are a VAT registered business you can then claim back the VAT – through your business as like any other business expense, and so you end up paying the advertised Business Price. The initial deposit of £20 per person is due to confirm your booking, please do check your booking confirmation email for the deadline set to confirm this. The rest of the balance for your booking is due no later than 6 weeks before the date of the party, for which, we will send you an invoice 12 weeks prior. Any additional items such as drinks packages must be paid for when the order is placed. The balance of your booking can be paid on our website, by bank transfer, or debit/credit card. All details can be found on your booking confirmation email. We have a variety of different sized tables and we will allocate your group the best suited tables for your final group size. Please note the largest of our tables seats 13, and so any groups of 14 and above will be split over 2 or more tables – these will of course be placed next to each other in the dining area. The smallest of our tables hold 8 guests, which is our minimum booking size. What is the minimum number of people I can book for? As we always seat groups on their own tables, the minimum number of people you can book for is 8. You can reserve your party online 24 hours a day, 7 days a week! Simply to go www.bestpartiesever.com and select your venue – then choose the best date for your group and snap up those places before someone else does! Our ‘My Account’ section of our website will then allow you to pay deposits, add drinks packages, send invitations to your guests, update their dietary requirements and see all the information about your party. Alternatively, you can call us on 0844 499 4040 and we can talk through any questions you have and book your party for you. Whichever way you choose to book your party; you will receive an email which states if you wish to confirm your places you have a set number of days to pay a £20 deposit per person, depending on the avaialbility of the evening you booked this will be between 24 hours - 10 days. Please note that this deposit is non-refundable and non-transferrable. The deposits, as well as the balance of your booking can be paid on our website, by bank transfer, cheque or debit / credit card. All details can be found on your booking confirmation email. We have designed delicious menus alongside our main menu for those guests who are vegetarian, vegan or have an allergy to dairy, gluten or nuts. We can also cater for Halal meals - if they are pre-ordered. Please note that we are not unable to provide Kosher meals, however, you are welcome to arrange for us to receive a Kosher Meal on the day of your party and we will cook this in our ovens and serve (still in the tray) to your guests at their tables. There is no additional charge for this service; however neither does the guest receive any discount for not having one of our own meals. 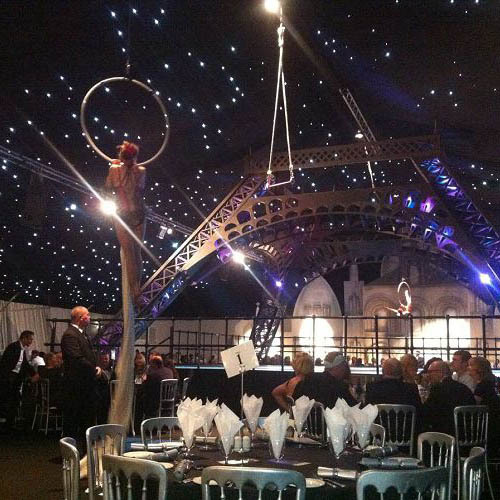 There is a set three course menu which can be viewed online - simply to go www.bestpartiesever.com and select your venue. The starter, main course and dessert are served to your table with tea and coffee being served from an ongoing station after dessert has been cleared. This allows everyone to get on with enjoying the party, and those who wish to have tea & coffee to do so from the end of dinner service until 11pm. The DJ will announce where and when these stations are available, so make sure you listen out! How do I purchase Dodgems Tokens ? Dodgems are chargeable and tokens can be pre-ordered prior to the event or purchased on the evening. In advance they will be £4 VAT per car (1 or 2 people can ride in each car). On the night the charge will be £5 per car. The dodgems, are located at the side of our venues, and they open around 10pm each evening. The dodgems close about half an hour before the end of the party, please do listen out for announcement from our DJ when we are taking our last dodgems rides, or ask a member of our team if you have any questions. How much does it cost for delivery of my wristbands/tokens in advance ? Should not everyone in your group wish to select a drinks package, you can order drinks tokens, wine and water by the bottle and our bars accept payments on the night. There are alternative packages available for those guests who do not wish to drink alcohol, these are the same price as the package however these guests receive extra value in casino vouchers and sweet treats. There is access to bar(s) set aside at the venue purely for those with wristbands or drinks tokens to use. Should you choose one of the options above during dinner service your tables will be provided with Red & White Wine and Still & Sparkling Water, if you were to finish the allocation, you are entitled to take an empty bottle to the bar to swap for another, this is valid during dinner service only. Please also note that wristbands entitle each guest to 1 drink per visit to the bar, in accordance with our responsible drinking policies and licencing objectives. There are alternative packages available for those guests who do not wish to drink alcohol, these are the same price as the main package however these guests receive extra value in casino vouchers and sweet treats. Tokens & Wristbands are non-refundable. A delivery charge of £3.95 will be charged, if tokens or wristbands are ordered, as a contribution towards us dispatching these out to you in advance of your party. The price of pre-order drinks tokens is a discounted price, from the price of the above drinks on the evening. The tokens mean you do not have to worry about cash while enjoying the party, and they give you access to bar(s) set aside at the venue purely for those with wristbands or drinks tokens to use. We do not run tabs so they a great way of pre-paying for drinks without deciding on those drinks in advance. Drink Tokens are non-refundable. A delivery charge of £3.95 will be charged, if tokens or wristbands are ordered, as a contribution towards us dispatching these out to you in advance of your party. Please note that we cannot run bar tabs at any of our events, however should you wish to provide some drinks for your group you can pre-order drinks packages, wine by the bottle or pre-order drink tokens. Drink Tokens are a great way of pre-paying for drinks without deciding on those drinks in advance. In addition to drinks packages, you can also pre-order wine and water by the bottle and individual drinks tokens - these will be available shortly. Should your group not wish to pre-order drinks, you can of course purchase tokens or use debit/credit cards to pay for drinks at the party. Please note we do not accept American Express. A delivery charge of £3.95 (or €4.50) will be charged, if tokens or wristbands are ordered, as a contribution towards us dispatching these out to you in advance of your party. Please check the location page of your selected venue for detailed information on this. Each of the guests in your party will receive an E-ticket, which they can view on any mobile device or print it which details the venue’s locations as well as directions to the venue. Directions and an interactive map is also avaialble at www.bestpartiesever.com on the Location Page of the venue. How do I pre-order a cheese board ? Cheese boards are available on a pre-order basis. These will be delivered to your table after dessert is cleared. These are charged at £25 plus VAT per cheese boards and are suitable for upto 10 guests. Where is the tea and coffee served? The tea & coffee are served from 10pm from an ongoing station at the side of the dining room. The DJ will announce where the station this on the evening, as well as when it is opening so please listen for this or ask a member of our team if you have any questions. We don't install strobes at our venues but we do use strobe effects, although this effect is much more subtle, we would advise strobe sensitive guests to be aware of this. There will be a professional photographer at the event. They will sell printed photographs on the evening at a cost of £10 per photo. Photos aren't available after your party night, so please remember to place an order on the night! Each of our venues has a Charity Casino, which supports a nominated local charity each year. A member of our team will circulate during dinner giving you the option of purchasing a voucher which can be exchanged at the casino tables for chips. You can also purchase these from the bar following dinner. Please note that the profits from our casino is all donated to the local charity, and as such there are no refunds issued on unused tokens, guests play to win prizes, and there are no monetary prizes. Chips cost £5 for 10 chips. All proceeds go to the Nominated Charity. When you enter the venue you will see several table plans displayed around the bar area, which detail which tables have been allocated to your group. We do not set out tables plans or names within groups, however should you wish to compile your own you are welcome to pop name places etc on your tables when the doors open on the night of your party. We have a dress code of Smart Dress, and as such do not allow guests to wear jeans or trainers to our events. The parties all open at 6.45pm, and so we recommend arriving at this time. I have some drinks tokens left over - are they refundable ? Un-used Drink Tokens & Wristbands are non-refundable. I lost something at the party! Please do email bookings@bestpartiesever.com – mentioning the venue you attended, the date of the night you attended, as well as a description of the lost item. We will do our best to locate your item and organise a convenient time for you to collect it, whilst the parties are still running. Exit at J11 and follow signs to Reading Town Centre. Continue through several roundabouts and traffic lights and you will pass under an underpass. When you reach a large roundabout with TGI Fridays on the right, take the 2nd exit. Go straight across the next roundabout and Kings Meadow is approximately 300 yards on the left hand side. Vehicles are left at the owners risk. To download a form to your computer, right-click the PDF icon and choose "Save As".